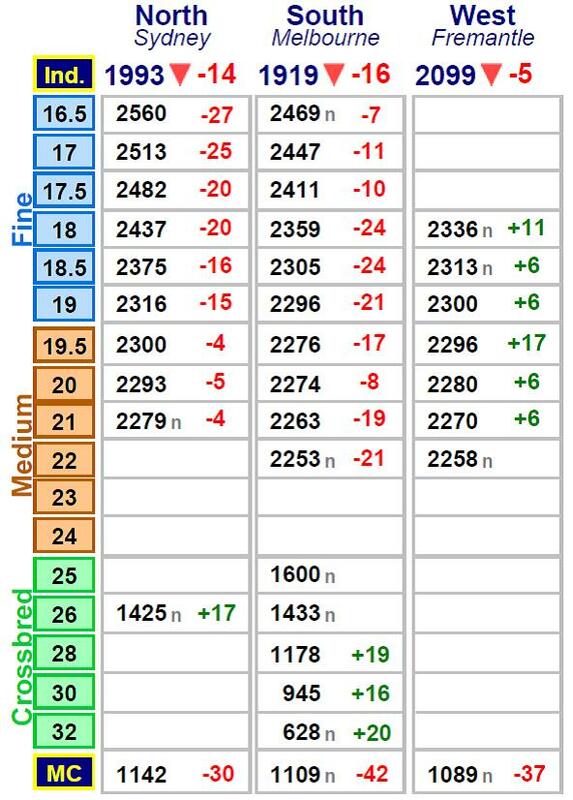 Good crossbred wool clips continue to buck the current price trend. Photo – Arcadian Wool Brokers. 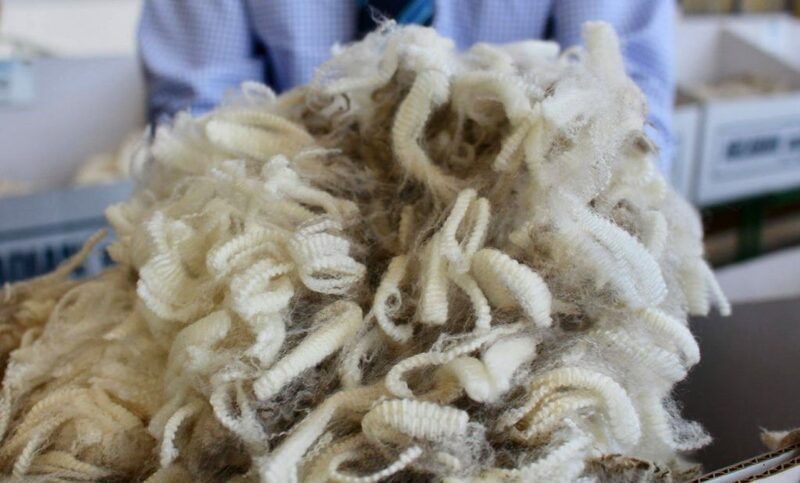 AUSTRALIAN Merino wool prices continued to track downward this week in a continuing pattern of “two markets,” although crossbred lines bucked the trend, AWEX senior market analyst Lionel Plunkett said. “One (market is) for the good style/higher yielding wools and one for the lesser style/lower yielding types,” he said. “Due to the diminishing supply of the better wools, good style lots again attracted excellent buyer support, selling at levels very similar to those achieved at the previous sale. “However, the inferior/lower yielding wools, were discounted as again buyers struggled to average them into their purchases,” Mr Plunkett said. “The result of these discounts was overall reductions in the individual Micron Price Guides (MPGs) which in turn pushed the AWEX Eastern Market indicator lower for the fifth consecutive series. The EMI in $US fell 21 cents to US1382 cents as the Australian dollars lost US0.48 cents to US70.97 cents. Brokers passed in 11.8 percent of the 37,405 bale offering, which was 5724 fewer than the previous week. Mr Plunkett said due to seasonal conditions the amount of fleece wool yielding less than 60 percent dry continues to rise. “AWEX compiled an analysis on yield going back to the 2002 season and the results highlighted some noteworthy facts. “In previous drought years, the highest number of low yielding wools were found in mid-April, meaning these wools typically reach the market in Weeks 44 and 45,’ he said. Mr Plunkett said crossbred wools continue to defy the trend of the other sectors, again recording increases. He said the oddments had another week of sharp falls, with the three indicators falling by an average of 36 cents. Quantities increase slightly next week, currently there are 38,212 bales rostered for sale in Sydney, Melbourne and Fremantle.